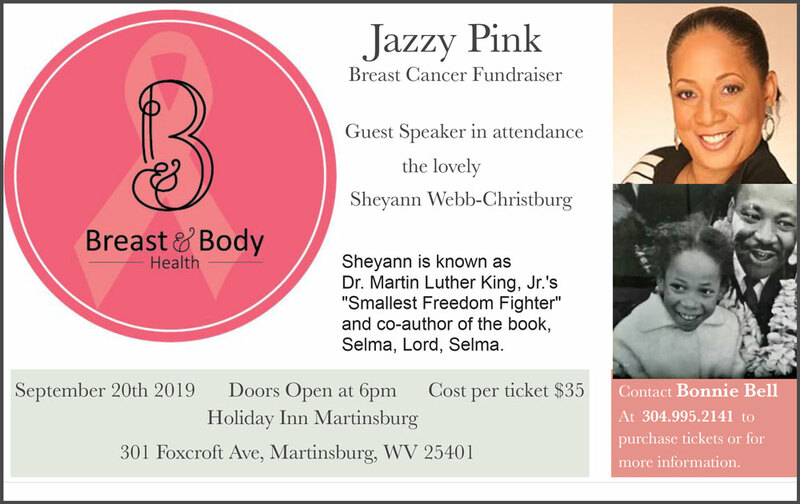 Dr. Martin Luther King Jr.'s Smallest Freedom Fighter will Speak at Fundraiser - Breast and Body Health Inc.
Sheyann is known as Dr. Martin Luther King, Jr.’s “Smallest Freedom Fighter” and co-author of the book, Selma, Lord, Selma. Doors open at 6:00 pm. Cost per ticket: $35. RSVP: Call Bonnie Bell at 304.995.2141 to purchase tickets or for more information.